You have heard us talk about how it is best to have the students make a lot of turns during their lessons. At Official Driving School, we believe students driving straight for extended periods of time are not getting the maximum value from their lessons. Of course, left and right turns are a main staple in driving, and once learned, students can go almost anywhere. But the main reason they should be taught in a repetitive and consistent manner, is to continuously challenge the student driver’s vehicle control and observation skills. It is a simple concept in that there are really only two things you can do with a car: you can change your speed, and you can change your direction. In addition, you can add to the driver’s responsibility of using the skills of searching (deliberate looks with head & eye movements) and that of timing. Unlike driving straight, turning left or right requires the driver to coordinate all of these skills simultaneously. Obviously, speed control is essential for safe and smooth turning, as the driver must slow down aggressively prior to the turn, and then pick-up their speed coming out of the turn. Attempting a turn too fast, at the very least, will result in a wide turn, and could easily develop into a total loss of control. Turning too slow also creates problems, since rear-end collisions are the most common type of city driving crashes. Proper directional control is critical, as the driver usually changes their direction at a 90 degree angle. Mastery of the hand over hand turning technique will be necessary to quickly and efficiently turn the wheel around and back straight again. Searching comes into play while the driver turns at several different points. First drivers should check their mirror when braking in advance of the turn. Second, drivers must aggressively search the intersection for traffic control devices. Even if the driver isn’t confronted with a stop or yield sign, they should be aware of what type of traffic control the cross traffic has. Additionally, drivers should look both ways prior to entering the intersection. 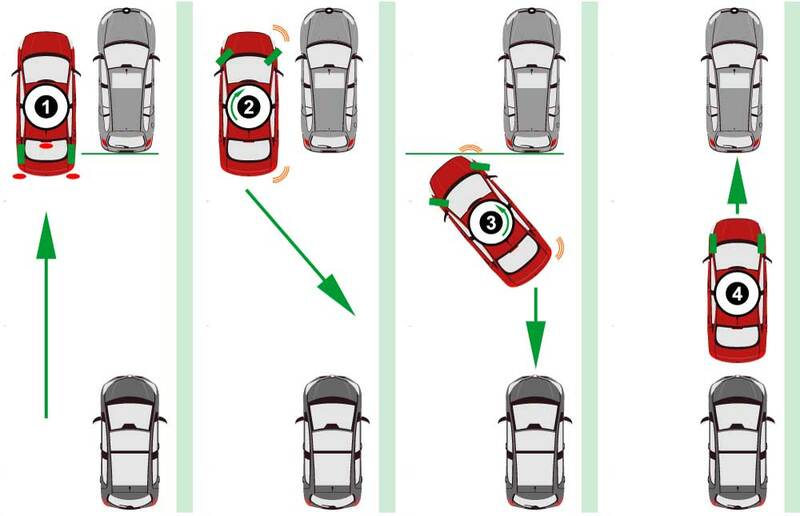 One definition of a collision is – cars competing for the same space at the same time. With this definition in mind, clearly intersections present drivers with a great deal concept travel, and this danger certainly justifies an intersection. Another major observation challenge is for the driver to turn their head and look for danger due to all of the crossing paths and glance both ways prior to entering the intersection and focus their eyes well up ahead their new intended travel path. This aiming high down the new lane should start early as the driver is beginning their turn, and continue throughout these the turn. If you want a driver to consistently turn into the nearest lane of traffic, the only possible chance they have of succeeding is to look down that lane as they come around the turn. Any other technique will depend on luck and guess work.